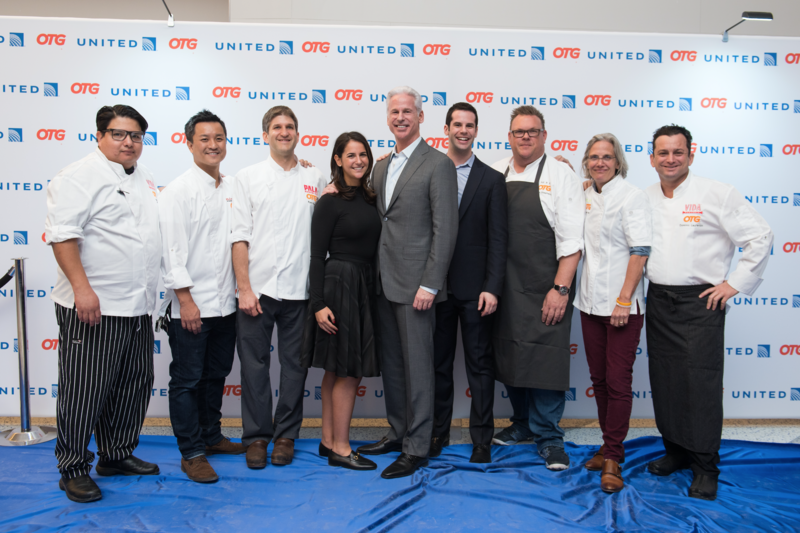 It was a high-energy affair as United Airlines and OTG recently partnered to offer local players a sneak peek of the new Terminal C-North at Houston’s George Bush Intercontinental Airport. The reveal of Ember, the terminal’s centerpiece restaurant, was the highlight of the event. Capped with a ceiling of 5,000 stars, the Texas tavern helmed by Chris Shepherd, the James Beard-award winning chef at Underbelly, sports a wood-fired grill and an emphasis on locally sourced food that has made it one of Houston’s top restaurants. Guests were invited to sample the wares that travelers will be treated to from Terminal C-North restaurants, including a beef and ahi tuna carving station from Shepherd’s Ember, the Vietnamese shrimp boil with fried rice from Bam Bam, a Vietnamese-Cajun beer garden created by Chef John Nguyen, a short rib panini with burrata and a port wine demi-glace from Olio, a panini bar by Chef Monica Pope, a red and white pizza from Pala, a Neapolitan-style pizza restaurant helmed by Chef Ryan Pera, and a Gulf shrimp ceviche guacamole from Vida Taqueria by Roland Laurenzo. * Vida Taqueria’s Vida Paloma, made with Sauza Silver Tequila, Aperol, Schöfferhofer Grapefruit Hefeweizen. But the culinary surprises headed to IAH does not stop with this group of new eateries. In Terminal C-South, watch out for the Magnolia Meatball Shop by Chef Christopher Williams, Agave, a casual taqueria by restaurateur Sharon Haynes, and H-Burger, a ranch-to-table eatery with a local spin by Chef Antoine Ware. 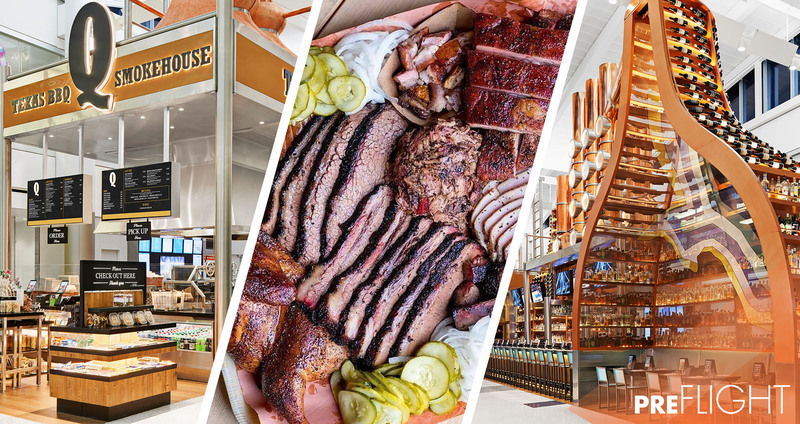 Travelers in Terminal E will be able to enjoy these restaurants in 2017: Q, a southern barbecue concept by Chef Greg Gatlin; Gavi, a Houstonian take of an Italian family-style restaurant from Pala’s Pera; Yume, a sushi and ramen bar by Chefs Chris Kinjo and Mike Tran; Tanglewood Grille by Chefs Seth Siegel-Gardner and Terrence Gallivan, which will offer hand-cut steaks, fresh seafood, farm-to-table greens and craft cocktails and beers; and Beerhive, featuring locally sourced small- and large-batch brews and bar food. What the new offerings at IAH say is while traveling and fine dining aren’t concepts that are usually put together, there’s no reason why they can’t be, Blatstein said. 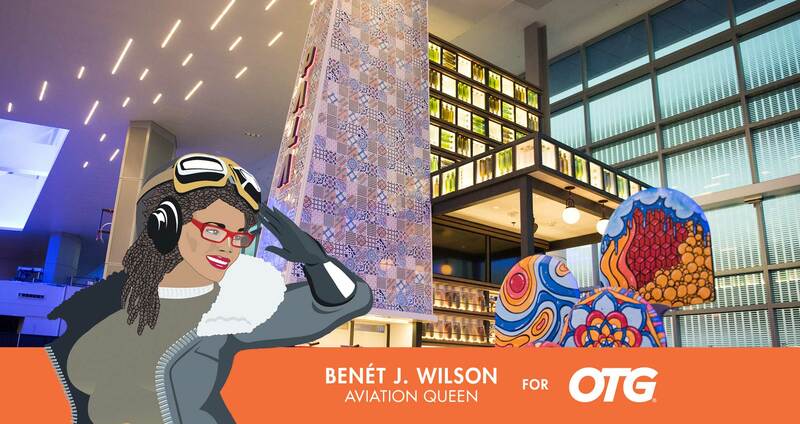 Be sure to read more from Benét at AviationQueen.com. 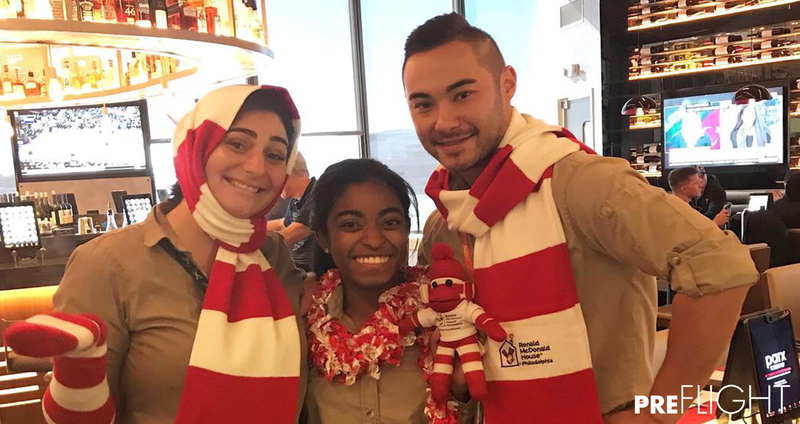 As proud sponsors of the Philadelphia Ronald McDonald House, OTG celebrated the 44th birthday of the Philadelphia-based foundation committed to support families of seriously ill children by creating a community of comfort and hope. With just a month until its official unveiling, we worked with United Airlines to provide a select group of special guests an exclusive tour and taste of our brand new United Experience at IAH’s C-North terminal. If your Texas travels leave you wanting more of that authentic BBQ taste, we‘ve got you covered.